DNA and Forensic Articles about the Case By Mark C. Waterbury, Ph.D.
Click on the links below to read other articles by Mark C. Waterbury. It’s called the “inevitable unexpected.” It dropped your jaw at the end of the movie Sixth Sense when you realized that “I see dead people” was why the kid could see Bruce Willis. Bruce’s character was dead from the first scene, you saw him die, but it somehow slipped your mind. It was inevitable. It had to be, but even at the very last, it was unexpected. And it was the inevitable unexpected that turned your stomach in Alfred Hitchcock’s classic film Psycho,when you found out that Norman Bates’ maniacal mother was Norman himself. Of course! It had to be. Why didn’t I see that? Now, the Meredith Kercher murder case has a whole series of inevitable unexpecteds that are fully worthy of the phrase. And they turn your stomach every bit as much as Psycho. In just the first of these, there is striking evidence that is absolutely devastating to the case against Amanda and Raffaele, and that begins to make the case against the Perugian justice authorities themselves. 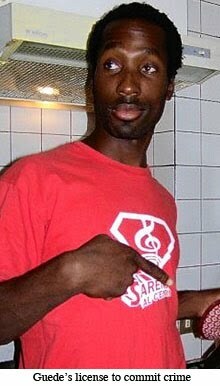 Rudy Guede, whom the overwhelming evidence points to as the murderer of Meredith Kercher, was a police informant. In an article in the British newspaper The Daily Express, Bob Graham reveals the stunning news that Rudy Guede committed an entire series of crimes in the month before the murder of Meredith Kercher, crimes that were deliberately ignored by Italian authorities. “It reveals the third person convicted of killing British student Meredith Kercher had committed six serious crimes over 33 days before the killing. Because we don’t yet have complete information on this development in the case, we will need to define some terms to, in part, encompass our uncertainty. This is a bit like the favorite phrase of the Polizia Scientifica: “it is compatible with,” meaning something like, “I can’t prove it isn’t.” I’ll need to refer to the “Perugian Powers that Be” or "PPB." By this, I’m referring to an as yet unknown combination of the prosecutors, the polizia, and perhaps even the judges in Perugia. We don’t know exactly who was involved, and we don’t know what their roles were. That is something that remains to be determined, and which will require extensive investigation, probably taking years to sort out. I don’t mean that the entire Perugian justice system was involved, but just some combination of agents within it. The polizia, prosecutors, and judges in Perugia are not a monolithic group. That group includes many individuals who sometimes work in concert, and are sometimes at odds. But one of the shining lights of this group, and one who is unquestionably involved, is PM Giuliano Mignini. 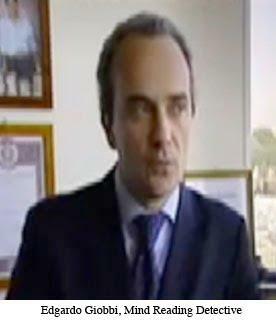 Another likely suspect is Edgardo Giobbi (actually in Rome), the head detective who by his own admission, determined Amanda’s guilt “psychologically” without the need to collect evidence. We might also include a couple judges who have acted more like prosecutors than as triers of truth. The courts and polizia in Perugia operate as a much more tightly knit unit than justice systems in the United States. 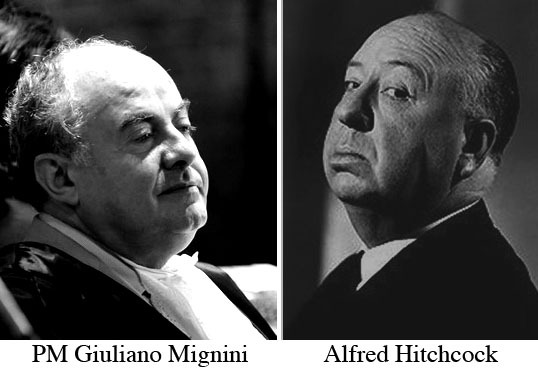 As prosecutor, for instance, Mignini has been in charge of the investigation of Knox and Sollecito. It is not an independent effort performed by the Polizia with results reported back to Mignini. Instead, Mignini actually ran the investigation. For all of these reasons, the Perugian Powers that Be (PPB) or the Perugian justice authorities, will refer to an inexactly known group when we are uncertain about who was involved. We will have to fill in the details at some later time. For now, we are working to paint a picture in broad brush strokes to gain an understanding, at long last, as to what has happened. In the Monster of Florence case, described in the book of the same name by Douglas Preston with Mario Spezi, the murders themselves were the first crimes, while the investigation and prosecution comprised an entire second wave of crimes in which innocents were imprisoned and lives were ruined. This wave of incompetent investigation and criminal misconduct by the polizia and prosecutor continues to this day, more than 25 years after the couples were murdered. PM Mignini and Chief Inspector Giuttari have both just recently been convicted for their activities in the course of this investigation. Because of those activities, many others are now on trial, charged with preposterously improbable acts of obstructing justice. Spezi is among those now having to defend himself against absurd charges. So it is not surprising that in the Meredith Kercher murder, you had the original horrific crime followed by such a badly performed investigation and prosecution that the aftermath has been nearly as destructive. Lives have been forever altered, years of freedom and youth have already been stolen forever, and the toll goes on and on. The new information that Rudy was an informant is a kind of missing link. We don’t have all the data yet, but it enables us to better understand things that have puzzled us all along. Now we can begin to connect the dots. When you connect the dots, you tie together the pieces so that you can see the big picture from the little parts. We’re going to develop a theory of the crime. I’m not talking about the murder itself. I’m talking about the crime of railroading Amanda Knox and Raffaele Sollecito. This driven, unfair, relentlessly coercive prosecution has been rightly called a “railroad job from hell” by investigator Paul Ciolino. Now we want to develop a theory of that crime that can be tested against the data, to be refined if it works and corrected if it doesn’t. That is far more honest than the treatment of Amanda and Raffaele, for whom the verdicts were in before the evidence was collected. All along the way, those who are seeking real justice in this case have been hobbled by obstacles. Some of these were unavoidable, but have been exaggerated by the prosecution’s resistance to accommodation. Other barriers have been actively introduced. Information that should have been available to the defense has been withheld as a matter of routine. Much that should be known is unknown. Much that should be in the open is inaccessible. Because of these obstacles we must operate without complete knowledge, but we cannot let roadblocks thrown in our path prevent us from achieving justice. There are two innocent people still imprisoned in Perugia. We cannot accept a situation where “I don’t know for sure” becomes “I can’t help.” We will not allow ourselves to be hampered to the point of helplessness. There are many things that we know but that are denied by those who have their own agendas. We know, for example, that there is no evidence against Amanda and Raffaele, because they are innocent. So we won’t even bother to debate that here. It is a fact, and one of the critical starting points for really understanding what has happened. Now we are moving beyond those debates. We will combine what we know with what we have recently learned. Rudy’s role as an informant is a kind of keystone, a central piece that helps tie together the elements. Then we’ll overlap these facts with some of the questions we’ve had all along. Finally, I’ll put forth a theory of the crime. It’s just a theory – it will have to be tested. Perhaps some mysteries will finally become clear. Dot # 2 Rudy Guede is guilty of the murder of Meredith Kercher, and everyone knows that, too. The evidence against him is overwhelming. He may have had a breaking and entering partner, we don’t know for sure, but Rudy killed Meredith and Amanda and Raffaele were not even there. Dot # 3 Mignini is at the heart of the Perugian Powers that Be. In the small town of Perugia, nothing significant in the Perugian justice system escapes Mignini’s awareness. Dot # 4 Rudy was an informant, probably for the Perugian authorities. While he was protected as an informant, he committed burglaries and was caught with stolen property and a 10” kitchen knife. Every time he was caught, someone from PPB set him free. When he was merely spotted, someone gave the word and he was not investigated. Dot # 5 Connecting Dots 3 and 4, because of his central, commanding position in the PPB, Mignini almost certainly knew that Rudy was an informant. Dot # 6 Connecting Dots 2, 4, and 5, Rudy Guede committed the murder of Meredith Kercher while under protection as an informant, and Mignini knew it. Dot # 7 Rudy could have revealed his status as an informant at his trial or otherwise, but he chose not to. He could have used that fact to argue “good behavior” as part of his plea for leniency, but he chose not to. He had an absolute ace in his pocket, but he chose not to play it in a desperate game for his freedom. Why? Dot # 8 Rudy has been treated with a degree of lenience that is amazing. He has already had his sentence reduced to 16 years, and it will likely be further reduced. He could walk in less than 10 years, while he is still a young man. He has even had his reputation somewhat restored for showing “remorse” and apologizing to the Kerchers for not having “fought hard enough to save Meredith.” Rudy has been shown great lenience by PPB. Dot # 9 Giuliano Mignini was under tremendous pressure during this entire period from the ongoing investigation into his misconduct in the Narducci investigation, an offshoot of the Monster of Florence case. He was ultimately convicted and, if he doesn’t get the conviction overturned on appeal, will be banned for life from serving as either a prosecutor or a judge. His career will be finished. Dot # 11 The Polizia grabbed a single item from Raffaele’s kitchen drawer, a big kitchen knife, for no apparent reason. They labeled it “the knife” and claimed that it was the murder weapon. Next, just a few of the questions that have gone unanswered. 2) What was the PPB’s motive for being so lenient with Rudy? 3) When Rudy was arrested and found to match extensive DNA, handprint, and shoeprint evidence, why weren’t Amanda and Raffaele released? When they captured the guilty party, why didn’t they release the innocent? 4) Why did the Polizia pluck a single, large kitchen knife from Raffaele’s drawer? 5) Why did the PPB pressure Amanda to accuse Patrick Lumumba? 6) Why was Rudy so brazen as to go out dancing on the night he killed Meredith? We have always really lacked a theory of the crime. Not the crime of the murder – we pretty much know what happened there. The other crime. The criminal act of knowingly and deliberately prosecuting two innocent people for murder. We must remember that this a theory. It is not proven, it is a model of what may have happened. One takes such a model and compares it with the facts. If the facts don’t match, the model must be corrected. But if it explains a lot of things, and if it proves to have what is called “predictive power,” that is, if it leads to predictions that can be tested and verified, then it gains weight as an accurate theory. Rudy committed some crime, probably breaking and entering, and came to the attention of the Perugian justice authorities. He cut a deal with them, becoming an informant in exchange for being released. While working as an informant, Rudy continued his other careers, selling drugs and burglarizing homes and offices. He wasn’t a very good burglar, being spotted in action and even captured a number of times. When this happened, he would play his “Get out of Jail Free” card by calling the PPB. They would call whoever was holding him and he would be released. Then he would commit more burglaries. In the course of getting away with one crime after another, Rudy grew in confidence to the point of arrogance. He had a virtual license to commit crime. On November 1, 2007, one of Rudy’s badly flawed burglaries turned out even worse than the rest. Meredith Kercher came home at the wrong time and, being a fighter, she fought, and lost. Rudy murdered her, abused her, grabbed some compact, valuable items (her cell phones and money) and fled. Since he had come to think of himself as nearly invulnerable, he didn’t cringe in fear at what he had done, but went out dancing, both that night and the following. Then, perhaps coming to his senses and realizing that he had overstepped his authority, he fled to Germany. At some point after the discovery of the murder, someone in the PPB realized that the killer was their own man, their own informant. This knowledge may have come very soon if someone recognized the M.O. of Rudy, who had performed numerous burglaries in the same way in the previous month, or it may have taken some time, perhaps until he was captured in Germany and the first fingerprint and DNA evidence came back. At that point of recognition, that "Oh my God!" moment, calls were made, conferences were held. What to do? A criminal who was working for them and under their protection had committed murder. The murder never would have occurred if Rudy had not been protected. His ongoing pattern of serious crimes was a clear indication that he should have been reigned in, but he was not. The Perugian justice authorities clearly bear some responsibility for the murder of Meredith Kercher. The PPB discussed the situation and realized that it had hit the fan in a way they never intended. It certainly wasn’t their plan for Meredith Kercher to be murdered. It was an unfortunate consequence of decisions they made to achieve justice. At some point the cover-up began. Rudy knew things that could destroy careers, bring down important work, and damage valuable investigations. There were a thousand excuses to cover up what had actually happened. How could Rudy’s silence be ensured? They had to have something to offer him. If the responsibility for the murder of Meredith Kercher landed squarely on Rudy, they had no bargaining chip. Rudy’s best hope would have been to say he was working as an informant, just doing his job. That would have brought down the house of cards. They needed a scapegoat. They needed someone to blame to get Rudy off the hook. The PPB weren’t looking for the murderer in their investigation. Of course, the men in the field didn’t know that. They were doing their jobs, and you never tell the little guys anything. But the higher-ups knew who did it and they were looking for someone to blame. At first they tried to pin the blame on Patrick Lumumba. They tried to substitute Lumumba, a black man, for Rudy, another black man. This is why they put such bizarre emphasis on the casual text message, “See ya later.” They browbeat Amanda into her sleep-deprived “vision,” in her words, of Patrick committing the murder, and brought him in. But unfortunately Patrick had an airtight alibi. And then the news came that Rudy had been captured in Germany. Once the DNA evidence and handprints were in, they knew that they couldn’t escape the fact that Rudy was there and that he was clearly involved. It was a disaster. Not only had they lost Lumumba, but now Rudy was definitively placed at the scene of the crime. Now more than ever, they needed somone to take the rap. If they were to have anything to offer Rudy, they needed somone to play the central role, the mastermind, so that Rudy could be… demoted, so to speak, to a secondary role. Perhaps even a sympathetic one. Without Patrick, all they had were these kids, close to the crime. They discovered it. These lovebirds. Arrogant, different, they didn’t act right. She was American, pretty – too pretty, and he was from a family about which rumors swirled. There were other roommates, but they had fled back home, or they were Italian, and not as interesting. This Amanda Knox, she has the blue eyes of a devil, and she swiveled her hips when we took her to the crime scene. She was a perfect target for the repressed PPB. This is why Amanda Knox and Raffaele Sollecito were found guilty before the evidence was even gathered. They had to be guilty for the cover-up to work. The evidence was merely details to fill in later. What better scapegoat than a “she devil” a controller of men, who could manipulate poor Rudy into doing her will? Amanda was nearly perfect for the role they cast her in. With scapegoats in place, Rudy was demoted to a secondary role in the murder. The astounding judicial redemption of Rudy Guede by the PPB is a matter of record. They could no longer let him go free, but they could offer him lenient treatment. Without it, he would have done 30 years. With it, perhaps fewer than 10. They had the necessary bargaining chip to ensure his silence. Rudy worked for the Perugian justice authorities. He murdered Meredith Kercher while under their employ and protection. 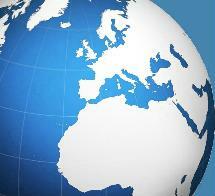 The Perugian justice authorities bear responsibility for the murder of Meredith Kercher. Amanda Knox and Raffaele Sollecito were railroaded into a wrongful conviction because they were needed as scapegoats. Without them, the PPB would have nothing with which to buy the silence of Rudy Guede. The polizia grabbed a knife, one single knife out of many from Raffaele’s kitchen drawer, not because they imagined that Raff kept the murder weapon there and they had magically guessed which one. It was because they knew that Rudy carried big kitchen knives when he committed burglaries, and they thought he might do so when he committed murder. They also knew that, by remarkable coincidence, that one knife would just happen to have Meredith’s DNA on it. Stefanoni’s arcane laboratory techniques ensured that finding. The autopsy report showing smaller knife wounds was not yet available, remember, and they could not wait. They believed that a large knife would match the wounds. This later proved to be a mistake requiring an awkward, two knife theory. They drove Amanda to accuse Patrick because they were looking for a black man to substitute for Rudy in the murder. Best to have the closest substitute murderer available. Amanda and Raffaele weren’t set free when Rudy was captured because they knew all along that Rudy was guilty, and they were trying desperately to get him off. They needed Amanda and Raffaele as scapegoats more than ever. The PPB didn’t do terrible things to Amanda because they despised her. They despised her because they did terrible things to her. They had to rationalize what they had done. They needed Amanda as a scapegoat to save themselves. They needed to view Amanda as an evil person to avoid realizing that they themselves were evil. While this is just a theory of the crime that I've developed, to me it rings stunningly true. Viewed through this lens many unexplained actions fall perfectly into place. It implies that there has been serious misconduct within the Perugian justice system, not merely quirky behavior or incompetence. For that reason this is a call to arms, a call for investigation by journalists, bloggers, other observers, and more highly placed powers in Italy. The Perugian justice authorities will not correct themselves, they must be stopped. Copyright, 2010 Mark C. Waterbury, Ph.D.